Conflict between the witches and Oz come to a head. Langwidere is unmasked. Tip gets revenge and a crown but remains conflicted. Something wakens. Dorothy meets her past and gets sent home. Dorothy's confrontation with the Wizard takes her one step closer to learning the truth about her past; Lucas allies with West to recover his memory; the Wizard enlists Langwidere to enact a plan. How many episodes of Emerald City have you seen? Q: Is this show cancelled? If not when can we expect the next season? Q: What time frame is this set in? I wasn't sure I'd like this show at first. It wasn't until close to the end of the first episode that I decided I needed to see more. Now I can't wait for each new episode! 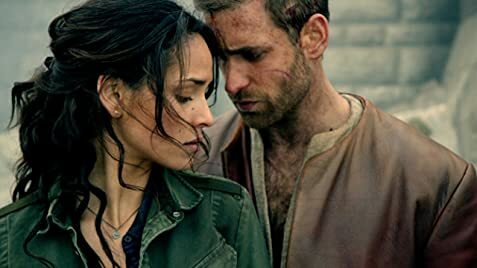 The cast is fantastic, the story line is mysterious and interesting. I think the sets and film locations are very well done. I'm curios to see what Glynda plans to do with the young witches and if the Wizard turns out to be Dorothy's father. Dorothy and Lucas have great chemistry too. Yes, it's completely different from the original story and movie. Toto is lovable but would also have no problem defending Dorothy if necessary. 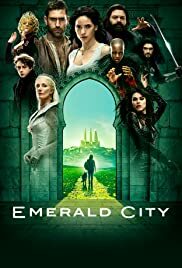 I think Emerald City has years worth of potential. So...WATCH THIS SHOW!